We spend several hours with one of the most anticipated Switch games yet. In 1999, an ambitious crossover game allowed players to experience the video game fights of their dreams. Who would win in a showdown between Mario and Donkey Kong? Could Samus overtake her fellow space traveler Fox McCloud? What if in his travels, Link encounters Pikachu? These questions may or may not have entered your consciousness before Super Smash Bros. launched on Nintendo 64, but the idea of video game characters leaving their respective games to meet on a battlefield ignited players’ imaginations. Soon, fans were fantasizing about what other characters could make their way into a sequel. Even as players speculated about the series’ future, they likely never guessed how the roster would grow. Over the next three entries the stable of Nintendo combatants ballooned to include deep cuts and more fan favorites from franchises like Super Mario, Pokémon, Star Fox, and the Legend of Zelda. The most surprising inclusions came from outside of Nintendo. Video game icons like Sonic the Hedgehog, Pac-Man, Mega Man, and Snake ensured Smash Bros. was the ultimate battleground for video game characters across the industry. Nearly two decades later, Masahiro Sakurai and his team at Sora, Ltd are about to launch the most ambitious version of Super Smash Bros. yet. 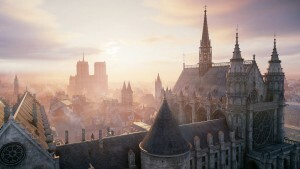 Not only does the game include every character in franchise history – including guest characters – but it also boasts more than 100 stages and over 900 music tracks. True to its title, this is poised to be the ultimate Super Smash Bros. game. Super Smash Bros. 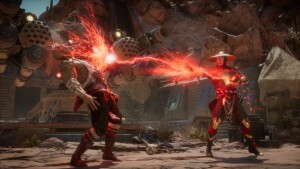 Ultimate features several modes, including the new Spirit Board and Adventure mode, but for many, the large appeal comes down to bringing together iconic combatants from multiple video game universes to duke it out. These battles have always been fast, frantic, and fun, and that’s no different in Ultimate. With such a big roster, the character-select screen is intimidating, even for longtime fans. Thankfully, Ultimate eases you in, starting you with just the original eight characters from the Nintendo 64 game: Mario, Donkey Kong, Link, Samus, Yoshi, Kirby, Fox, and Pikachu. You won’t be restricted to these characters for long, however. Nintendo says unlocking all the characters can take as little as a couple of hours, making your 8 fighters grow to 74 fairly quick. With so many fighters to choose from, setting up your dream matchup has never been easier. Even as a two-decade veteran of the series, as I play dozens of matches I’m continually struck by the absurdity of the events flashing across the screen. Making Ganondorf toss a Poké Ball at Olimar, then watching as Sonic and the Duck Hunt duo try to escape the wrath of the Mimikyu that emerged still feels like it’s breaking all kinds of rules that shouldn’t be broken. But somehow it all works – and even 20 years later, it still feels great in Super Smash Bros. Ultimate. 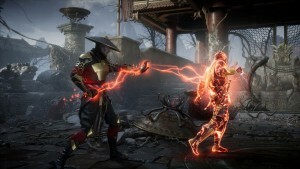 The lines between franchises are further blurred in the one- or two-player arcade-style Classic mode, where you select a character and difficulty and fight through multiple levels. Much like the Classic modes in past Smash Bros. games, you face other combatants as you progress through the mode, but also compete in one-off bonus stages. The bonus stage I played had me running through a simple 2D platforming level, collecting as many gems as possible while not allowing a black hole on the left side to catch up to me. The bonus stage is fun, but as with past iterations of the mode, but the missions I looked forward to the most put me in a Smash with characters under special conditions, like fighting a giant version of a character or a barrage of multiple versions of another. My playthrough of Classic mode culminated with a daunting boss battle against Rathalos from Monster Hunter. 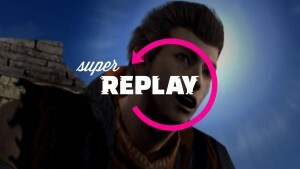 The giant dragon screeches, charges, and breathes fire as I dodge and counter in any way I can. After he whips his tail at me, he pauses briefly, and I strike with a quick combo. After draining his health bar to the halfway point, he takes flight and begins divebombing me. I get him to a quarter health, and he falls to the ground, dazed. I take this golden opportunity to land as many licks as possible. He comes to his senses just before I deplete his health, and he soars away into the background. He’s out of range for the moment, and he takes full advantage by raining fireballs onto me. The attack phase doesn’t last long, as he comes back to striking distance and charges me once again. I dodge his flailing tail and land the final blow, ending the tense boss battle. Fights like these are exciting, and I love how it varies based on your character. I was playing as the Duck Hunt duo, but other characters have you take on other imposing bosses. For example, playing as Mario or Captain Falcon pits you against Giga Bowser, while going through the mode as R.O.B. or Wolf yields a Galleom fight. While all the aforementioned playable characters and modes have been in Super Smash Bros. before, the team wanted to expand on the foundation established by prior entries. With this strong foundation, the team behind Super Smash Bros. Ultimate set out to make the most ambitious entry in the series to date even broader in scope, adding new characters, modes, and mechanics that can change the course of matches. 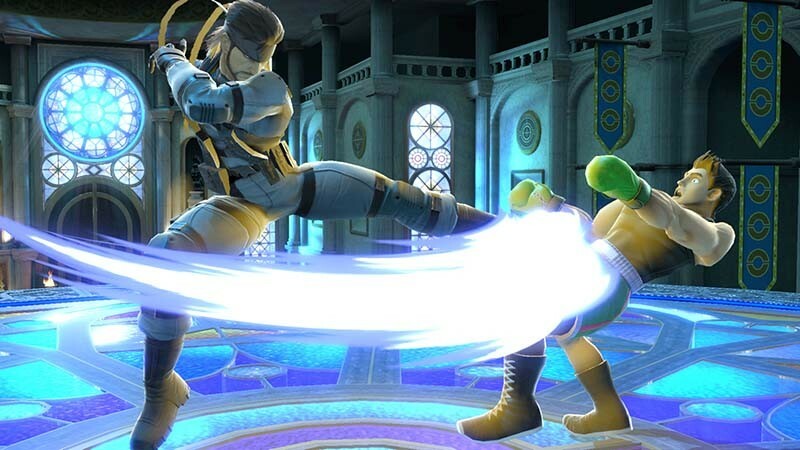 In addition to the already robust roster featuring returning fighters, Super Smash Bros. 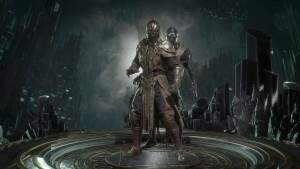 Ultimate adds several new characters from across the gaming universe. 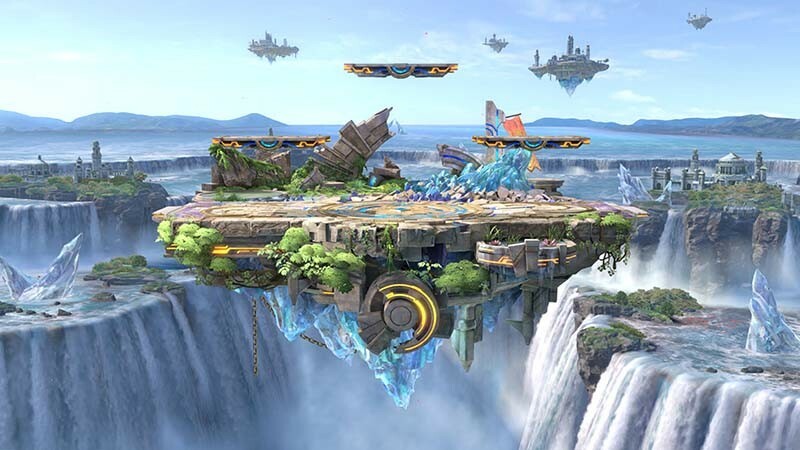 From fighters based on other characters (echo fighters like Dark Samus and Ken) to all-new additions, players have a host of new, exciting characters to sample and potentially main when the game hits. 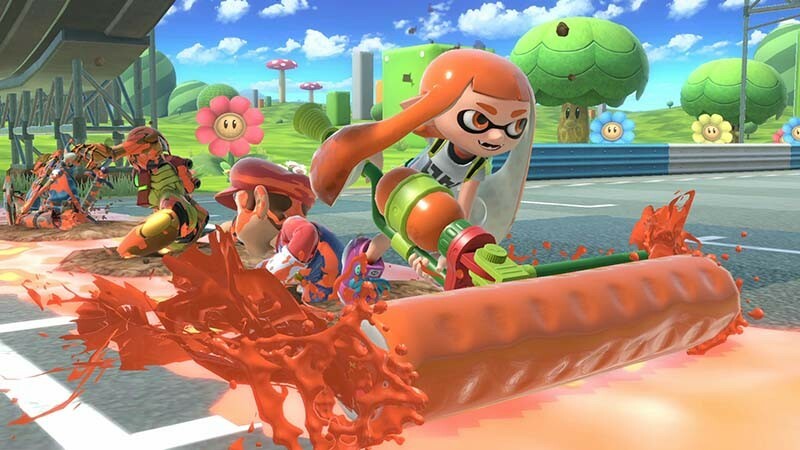 The first new character was revealed alongside the game, as the Splatoon Inklings were caught off guard by the giant Super Smash Bros. logo amid an inky battle. From there, the character reveals only got more over-the-top, including Simon Belmont avenging the murder of Luigi at the hands of Death in one trailer and Ridley stealthily taking out Mario and Mega Man in another. 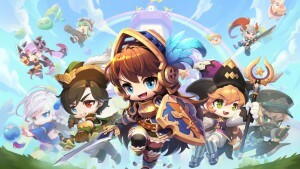 The new characters play as diverse as their reveals. Inkling can cover you with ink to slow you down and make you more vulnerable to damage but must fall back and submerge to fill up their ammo, like they do in the Splatoon games. Because all of Inkling’s specials are based on weapons from the Splatoon games, knowing how to use weapons like the Splattershot and Ink Roller can help ease the learning curve. 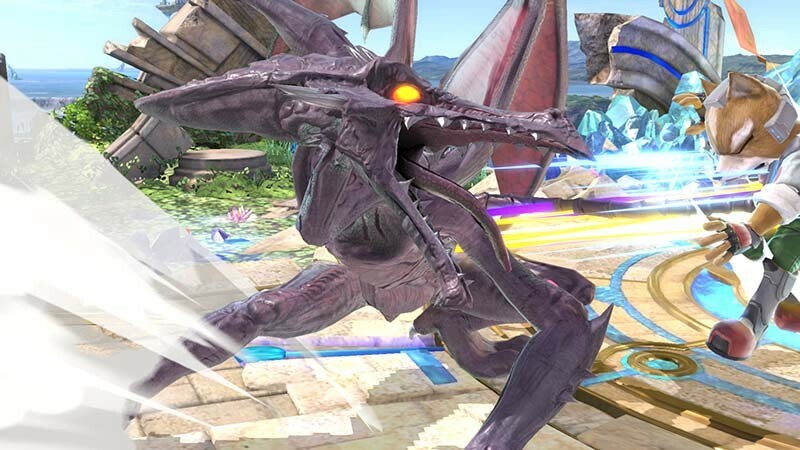 Playing Ridley is challenging at first due to the combination of his weight and mobility, but once you get the hang of his unique attributes and master his specials, you can hit like a truck. His skewer attack can deal massive damage, even though it doesn’t launch its target. Instead, it stuns and knocks the target down, setting Ridley up for a follow-up attack. 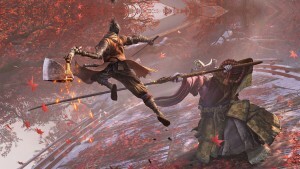 The skewer attack is difficult to land perfectly thanks to a long charge time – doing so triggers a brief pause in the action to highlight the powerful blow – but once I had the timing down, I was able to do it with reasonable consistency. 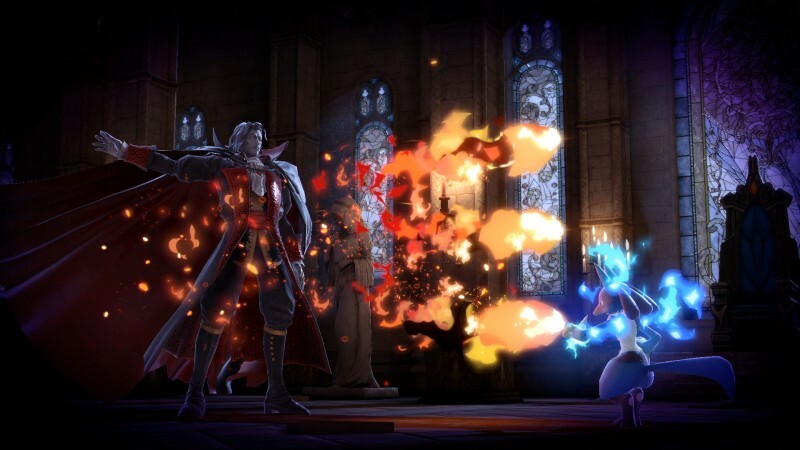 Simon and his echo fighter Richter have been sought-after characters for years, and it’s exciting to see them finally join the world of Super Smash Bros. Their special moves are powerful, with my favorite being the holy water attack that sets the target on fire and holds them in place so you can unload on them. Their whips are also strong, but you need to maintain distance and work on your timing as they can take a while to attack. 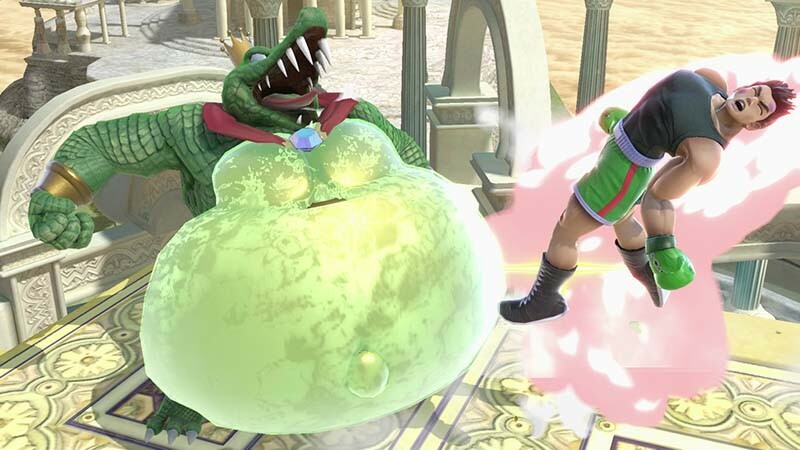 King K. Rool is among the most tank-like characters in Super Smash Bros. Not only can he withstand a few attacks without flinching, but he can easily plant you in the ground with his down-smash. As you might expect, he’s not particularly fleet of foot, but what he lacks in speed he makes up for in power and fun abilities like a strong counter or his blunderbuss, where he fires cannonballs and can then use the gun like a vacuum. His Final Smash is an outlandish display of power as he traps his target on DK Island, then uses a giant laser to blow the island to smithereens. These over-the-top Final Smashes interrupt the action, but they’re fun to watch as you either thank the Smash gods it wasn’t you in the crosshairs or curse them that it was. Isabelle might be the most deceptively powerful character on the roster. Not only does she possess various traps as special moves, like a fishing hook that can pull in enemies that walk into the cast line or a trap that she buries in the ground, but she packs a wallop in her attacks. Despite her indirect fighting style, she was the new inclusion I took to the quickest thanks to her mobility and power. She may come from Animal Crossing, but she plays different from Villager, even if some of her specials look similar. 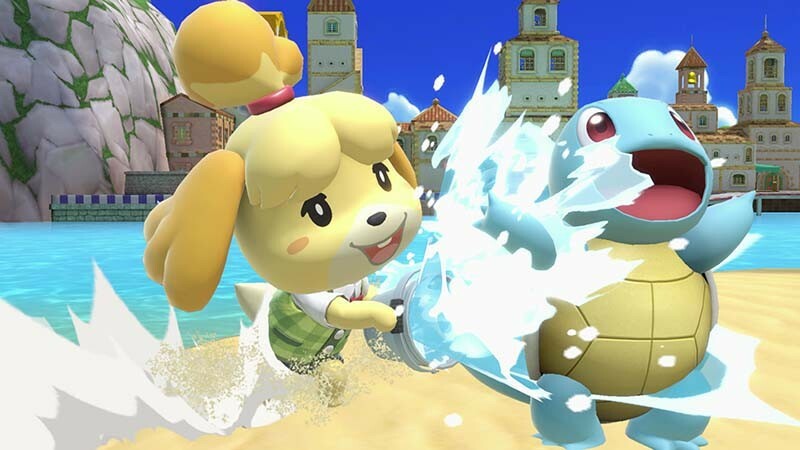 Unlike Villager, who sometimes requires a bit longer setup, Isabelle’s specials are much more instant. The latest addition to the Smash roster is a blast. Incineroar brings a bombastic professional wrestling style that features body slams, lariats, and, in true pro wrestling fashion, taunts after most moves. When using Incineroar’s side-B special, he throws his opponent off the ropes, but in order to do anything meaningful with it, you must time your next press right. Press too soon and he simply tosses the target upward, but press too late and the character just runs into Incineroar. 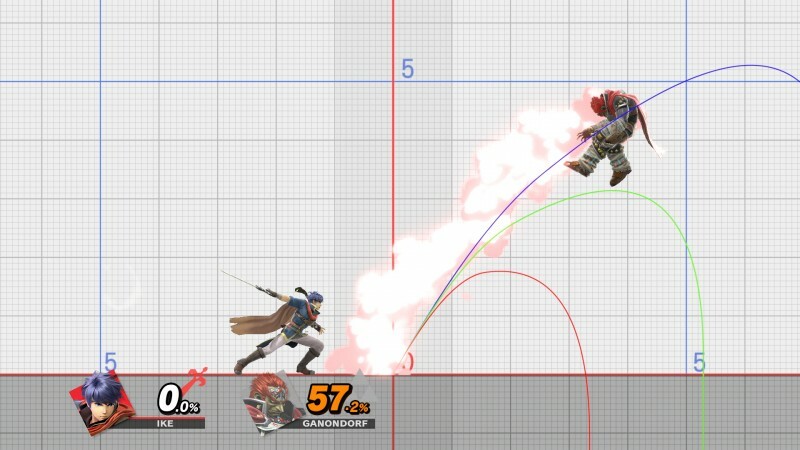 To make him perform the powerful lariat attack, you need to hit your follow-up press in the tight timing window – easier said than done in the frantic action of a Smash battle. While the team likely could have stopped at 74 characters and the post-launch DLC (more on that later), Sakurai and his team included untold numbers of additional non-playable characters through a massive catalog of equippable, character-augmenting buff cards known as Spirits. With game-changing potential, Spirits could serve as the biggest and most divisive wildcard within the Smash community. In fact, even after spending a couple hours messing with them in two different modes, I’m not entirely sold on the concept. Thankfully, unless you’re in Spirit Board or Adventure Mode, you can toggle them off – you’re not required to use them in standard Smash mode. To collect Spirits, you can play Spirit Board mode, which rotates available Spirits every five minutes (don’t worry, no internet connection is required). The Spirit Board is laid out like a wanted bulletin, with 10 slots on a timer offering you different Spirits you can try and earn through completing the associated challenge. 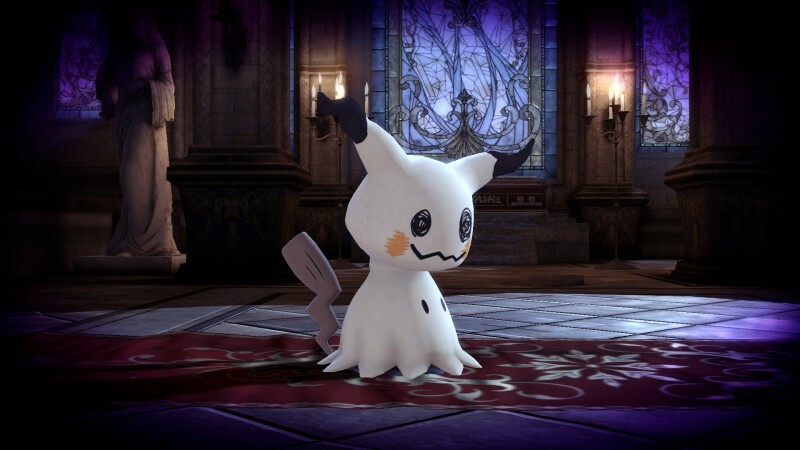 Each Spirit is represented by a non-playable character or object from various other games. Over the course of my time playing Spirit Board, I encountered the likes of Ghirahim from Zelda, Roy Campbell from Metal Gear, Phyllis & Pelly from Animal Crossing, and Starship Mario from Super Mario Galaxy 2. Spirits work like modifiers to the fights; Primary Spirits boost your character’s attack and defense stats, while Support Spirits can augment your character with additional buffs and abilities, and can even grant you immunity to certain stage-altering conditions. Some Spirits give you an item, such as Mouser giving you a bomb at the start of a match. Spirit Board challenges often consider the Spirit you’re trying to earn and incorporates elements from that game or character. For example, to earn Starship Mario, you must fight a giant Mario with low gravity. Before going into each Spirit Board challenge, you can customize your loadout. Each Spirit has a type assigned: attack, grab, or shield. 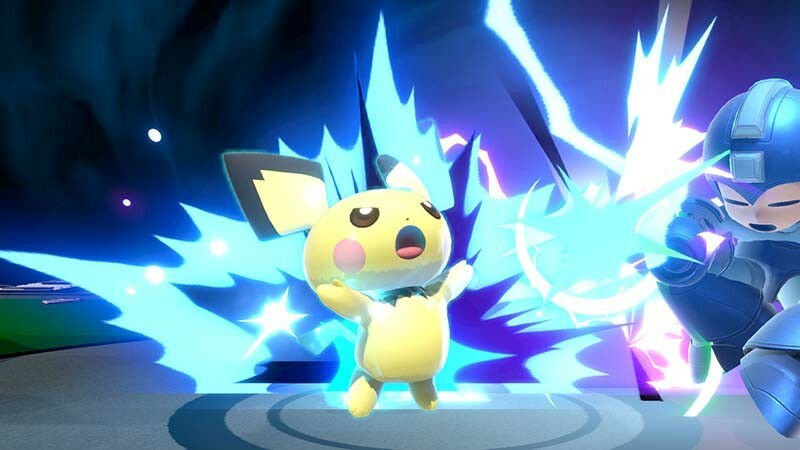 These types work in a rock-paper-scissors manner where attack has the advantage over grab, grab beats shield, and shield beats attack. The Starship Mario Spirit is a shield type, so I swap out my attack-type Board & Cord & Barst Spirit in favor of the grab-type Donkey Kong & Lady Spirit. You collect a ton of Spirits as you play, so finding the right one by scrolling can be difficult. Thankfully, you can filter your collection by type, level, and even effects. My Donkey Kong & Lady Spirit is not only a grab-type, but it features three slots I can use to augment my character further with Support Spirits. While I love the current Support Spirit powers I have (special move power-up, fire and explosion attack up, and stamina up), I want to cater my experience even further to attack this low-gravity Starship Mario challenge. Using the filter, I find the Jody Summer Spirit, which grants me immunity to changes in gravity. Because this is such a useful Spirit, it takes up two of my three Support slots, but it’s worth it, as I’m not floating around in the low-gravity bout. If you don’t want to get too in the weeds with picking a competent team, you can press a button on your Spirits screen and have the game autopick your loadout, which proves useful if you just want to jump into the action and still stand a chance. Once you complete a Spirit Board mission, you take part in a quick bonus challenge where a rotating shield surrounds the combatant you just defeated. If you time your shot right, you blast the Spirit right out of the character and add it to your collection. Time it wrong, and you take away part of the shield for next time, but you need to challenge for it again to have another shot. While I’m still skeptical on the concept of Spirits, I can’t deny that collecting Spirits could prove to be a rewarding and engaging loop as you amass more characters with unique abilities and learn the intricacies of countering the effects of each mission. While Spirit Board provides interesting challenges and a rapid-fire method of unlocking Spirits, the most interesting way to interact with Spirits could be in the Adventure mode, World of Light. In the most recent Super Smash Bros. 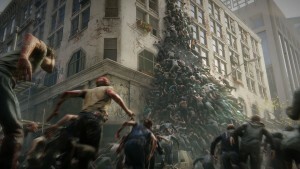 Ultimate Nintendo Direct, Nintendo debuted the opening cinematic to the single-player Adventure mode. 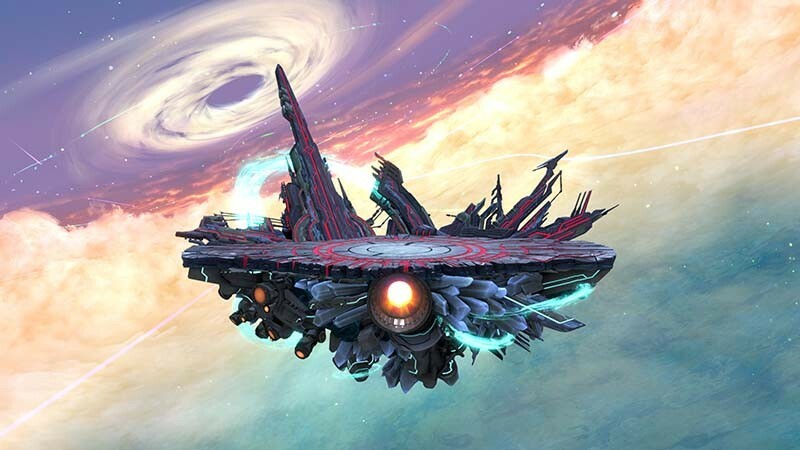 World of Light begins with a cutscene depicting a new enemy called Galeem, aided by an army of Hands, wiping out nearly every character in the Super Smash Bros. universe. The only character that narrowly escapes Galeem’s onslaught is Kirby. Rodrigo says there’s a reason beyond Sakurai’s affection for Kirby for why the pink puffball was the sole survivor, but he doesn’t want to spoil it. Regardless of the reason, you begin Adventure mode as Kirby on a quest to save the rest of the Smash universe, unlocking and powering up Spirits along the way. As you explore the giant, retro-style hub world, you encounter various oddball challenges like the ones in Spirit Board. By completing these challenges, you not only unlock additional Spirits, but some reward you with new characters to choose from. The very first challenge brings Mario as an opponent, but he’s possessed by Smoky Progg from the Pikmin series. In addition to having to beat Mario, I must work around the condition that he occasionally turns metal throughout the match. To counter this, I can equip various Spirits from my collection, much like I did in Spirit Board. After using Kirby to vanquish Mario, I’m rewarded with the Smoky Progg Spirit and consumable snacks used to strengthen Spirits in my collection. As you’d expect, raising a Spirit from level 1 to level 99 significantly boosts the power level of that Spirit; my level 1 Metal Sonic had 1,859 power, but by feeding it a ton of snacks to max it out at level 99, the Spirit’s potency was raised all the way to 7,465. Certain Spirits can be further boosted past level 99. For example, I leveled my Geo Stelar & Omega-Xis Spirit to 99, and a prompt asked me if I wanted to enhance it. Enhancing adds skill augments to the Spirit, but it returns to level 1. I elect to enhance this Spirit, and it transforms into a Star Force Mega Man Spirit, with an added buff on shooting items. While it returned it to level 1, you now have a better Spirit that you can level up again once you have enough snacks. Equipping a more powerful Spirit means you have the stat advantage going into a mission but be warned: You get fewer rewards if you’re substantially more powerful than your opponent. After enhancing the Spirit, I continue along the path. A few stages later, I am presented with the opportunity to fight Mario to unlock him in Adventure mode. After running through this first fighter challenge, Mario gets added to my World of Light roster. Upon entering my roster of playable fighters, it’s comical to see just two characters after getting used to the massive 74-character roster screen of regular Smash. You build your Adventure roster steadily, though; I unlocked Marth a couple levels down the road. While I churned through several stages during my time in Adventure mode, they are far from easy. Coming up with the right Spirit loadout that not only counters your opponents, but also plays to your strengths is tricky, and your enemies often have advantages right out of the gate. I eventually ran into a brick wall of a four-Kirby team that starts with Star Rods. While I’ve rarely struggled with dispatching Kirby in the past, I failed at beating this annoyingly persistent squad time and again. I merely scratched the surface of World of Light, but its sprawling nature looks to keep you collecting fighters, completing challenges, and engaging with the new Spirits system. After playing for just over a half hour, I only amassed three characters on the giant roster of fighters, so unless that pace picks up, Adventure mode could keep you busy for seemingly countless hours. Super Smash Bros. announcements have a history of surprising its fans, but few caught people off guard as much as the reveal of Piranha Plant as a playable character. As long as you buy and register the game with My Nintendo before January 31, his download is included for no additional charge when he releases. If you don’t buy or register Ultimate prior to then, you can still purchase Piranha Plant after that date. While Sakurai And Nintendo remain tight-lipped on the five characters that will appear as DLC outside of the already-announced Piranha Plant (see sidebar), Sakurai took to Twitter to state that the five characters included in the Fighters Pass have already been chosen by Nintendo. 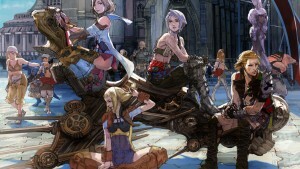 However, the DLC is more than just the fighters, as each will come with a new stage and additional music tracks as well. 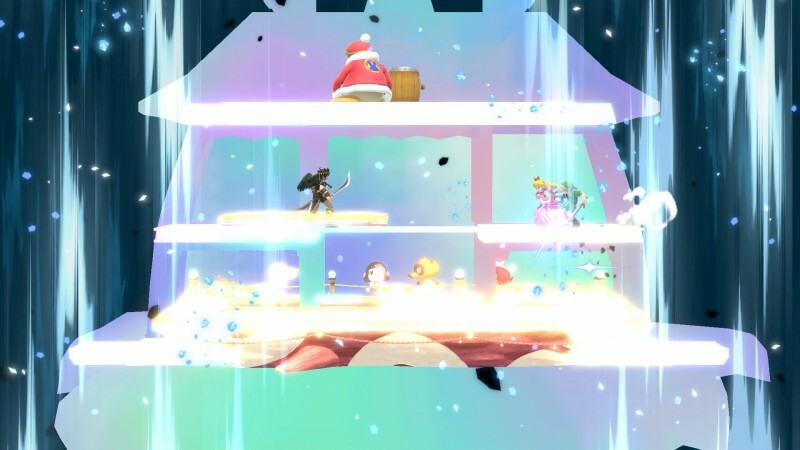 The team has the releases spaced out over the course of around a year, so even if you play through all of the aforementioned modes and collect the most robust catalog of Spirits, Nintendo and the Super Smash Bros. Ultimate team want to give you plenty of reasons to dive back into the game. 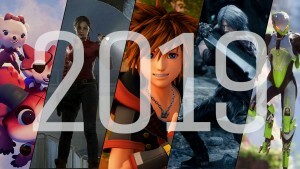 While we won’t know exactly what the downloadable content entails, the exciting gameplay and venerable smorgasbord of characters, stages, and modes should keep fans of this beloved franchise busy for a long time to come.